NANOSMAT’s official peer-reviewed journal FUNCTIONAL NANOSTRUCTURES has launched a number of “focus issues” on key topics in nanoscience and nanotechnology. Topics such as Nanoporous Materials: Synthesis and Emerging Applications; catalysis involving nanostructured materials etc have been covered by these issues that are guest edited by expert scientists in the fields. 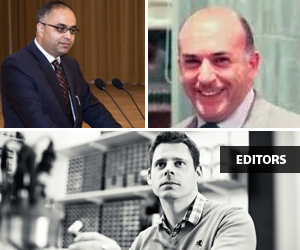 The editors-in-chief of Functional Nanostructures, published by One Central Press, include world renowned nanotechnology experts: Professor Jeff De Hosson (Netherlands); Professor W. I. Milne (UK) and Professor Werner Blau (Ireland). 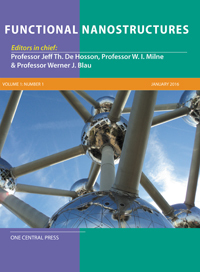 Professor Jeff De Hosson, the co-founder of Functional Nanostructures and the principal editor-in-chief said “the journal has done exceptionally well so far and since its inception in 2016, it has produced 2 extremely high quality issues consisting of exceptional quality manuscripts written by international scientists belonging to important institutions from around the world involved with nanoscience and nanotechnology research. These “focus issues” will add value to the journal and attract more high quality manuscripts”.